Esta casa está ubicada en una pequeña ciudad costera. Mi casa está bien ubicada a solo unos minutos de la playa, rampas para botes, varios parques, incluido uno en el canal Intracoastal. También hay muchas tiendas y restaurantes a solo unos minutos y las principales autopistas están a poca distancia en automóvil. Esta casa 3/2 recientemente renovada incluye una sala de entrada para lectura, una sala de juegos con una mesa de billar / pingpong y una sala de estar con sofás reclinables que pueden acomodar a toda la familia. No se puede olvidar la bañera de hidromasaje para relajarse. Los huéspedes tienen acceso al dormitorio principal con una cama king size, ambas habitaciones con literas cada una con una cama de tamaño completo y una cama doble, 2 baños, acceso completo a la cocina, sala de estar, piscina / mesa de ping pong y el patio trasero. Property is well-maintained and the communication with the owner was fantastic. Great proximity to wonderful beaches! 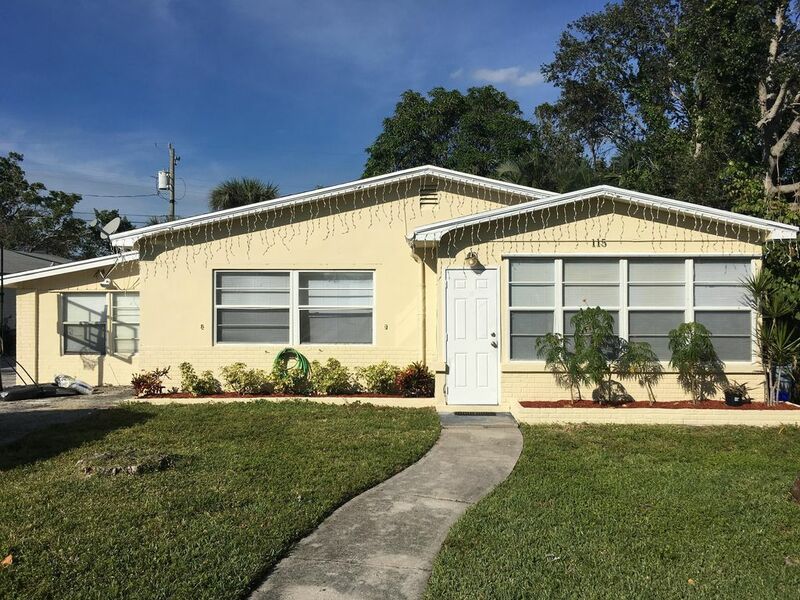 This home was just a short drive from beautiful, accessible beaches at Lake Worth, Boyton Beach (our favorite), and Delray Beach. It's a nice home that fit our family's budget, and Ron was very responsive when we contacted him with a few questions. It was very clean, except for an issue in one of the bathrooms, which he said will be taken care of. The area is a middle class, family neighborhood. The price was great, but we found the accommodations in need of much repair. The master bedroom bed was broken and the mattress laid on the floor inside the frame and the mattress was worn out with a large hump in the middle while each side sunk down so that the person laying in it looked like they had no body, only a head. Some of the towels were rags, couch was dirty, very few utensils for cooking. A few upgrades and this place could truly be an oasis. Our stay was fantastic, the place was a 5 minute drive to the beach. Very clean place and we had a request and the host was super prompt to come and fix it for us. Our kids loved the pool/ping pong table. Will definitely stay here again. Michael has been a wonderful guest each time he has stayed at my home and is always welcome back.